This edition of The Five Count featured an exclusive interview with professional wrestler Lanny Poffo. Known as “Leaping” Lanny and “The Genius” during his years with the WWE, Lanny is a former NWA Mid-America Heavyweight Champion, ICW World Heavyweight Champion, and manager of Mr. Perfect and The Beverly Brothers. He’s also the brother of WWE Hall of Famer Randy “Macho Man” Savage. 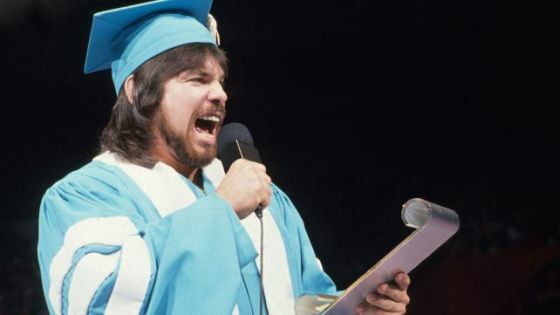 During the show he discussed his early days in wrestling, his process for writing his poems, and his new comic book “The Genius Lanny Poffo – Wrestling’s Smartest Man.” Get your copy now! During the rest of the show we shared heart-warming stories of the days when we were roommates, discussed the future of The Five Count website, and paid tribute to Five Count alumnus Dolores O’Riordan of The Cranberries. Yahtzee!